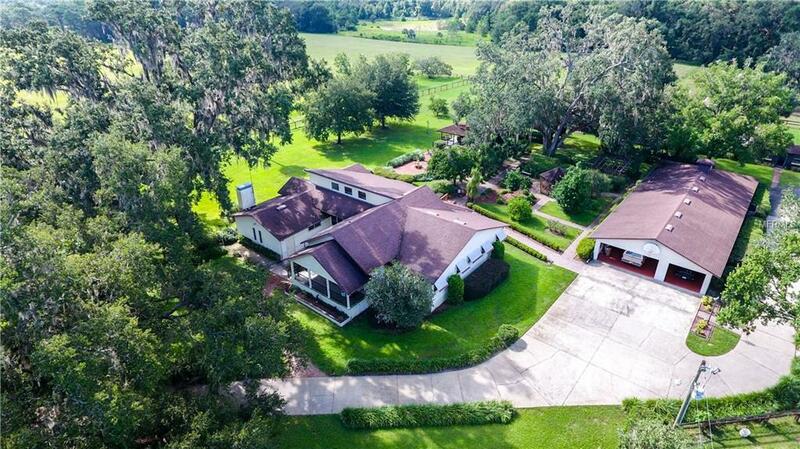 First time ever on the market this Central Florida property captures the bucolic imagery of rural life. 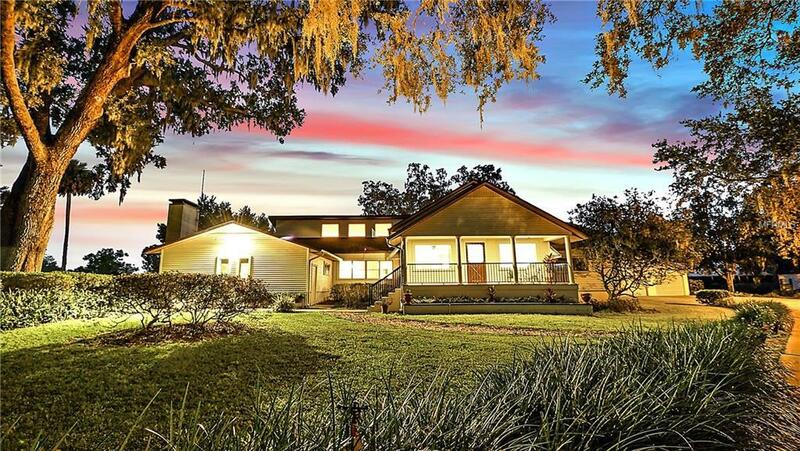 Perhaps you're outdoorsy & love the idea of a agrarian business or you're looking for a countryside homestead providing a slice of life in a serenely solitary and beautiful setting. 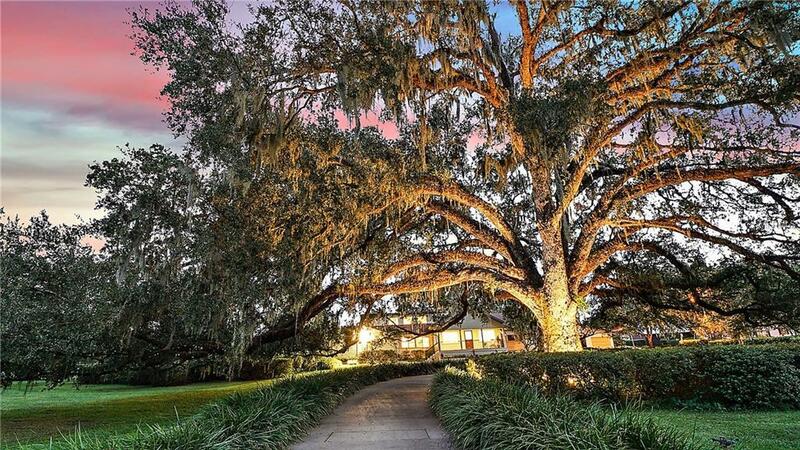 The gated entrance & majestic granddaddy oak trees welcome you to the ideal country life as you pull into the long winding drive-way that escorts you to the home and many outbuildings. This property can accommodate large families with it's 4/3 3,975 SF main house, 2/1 1,225 SF eff apt & 2/1.5 960 SF caretakers quarters. The detached garage with workshop, agri-start building and walk-in refrigeration is perfect for the avid gardener or organic farmer. The over-sized indoor pool with apt set the stage for poolside parties. There is a "She-Shack" perfect for crafting and for Him, a gigantic enclosed workshop. 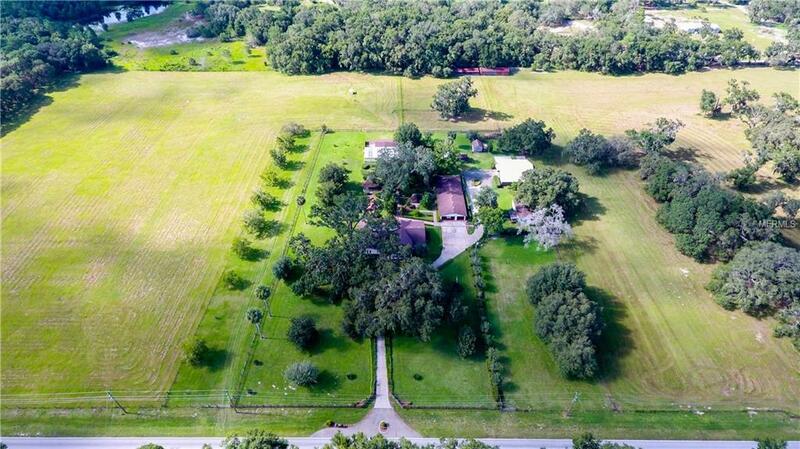 Birds and animals alike are welcomed here and can take residence in the bird aviary, coop, lush green fenced pastures or horse stalls. This countryside retreat has the potential to raise, harvest and accommodate everything you need for a self sufficient family compound removed from the modern world. Each building and venue on this property has a story to tell. The main house historically was much smaller and used for a variety store but now after additions/improvements it features individual spaces for living while offering larger spaces to gather in the kitchen plus roomy den with stone masonry fireplace.WELCOME HOME!